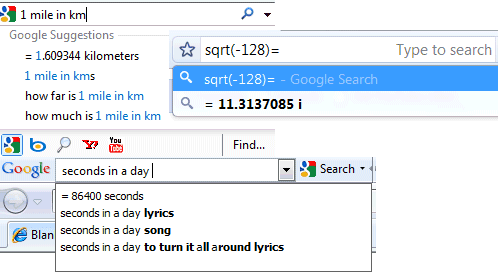 Google's search suggestions started to include instant answers for Math calculations, unit conversions, currency conversions, weather information, simple facts, local time, package tracking, word definitions and more. That means you no longer have to click the search button and open a new page to see the results: the answers are displayed instantly. "This kind of information will appear in Suggest either above or below the suggested search terms for a variety of queries. For example, you can type "delta 140" to see the flight status. You can also quickly discover the current time, figure out how many Euros you'll get per dollar, or even brush up on metric conversions," explains Google. My only issue is that Google's answers can't be copied. If you try to select the suggestion, you'll notice that the answer is not added to the search box, so the only way to copy the result is to open the search results page. 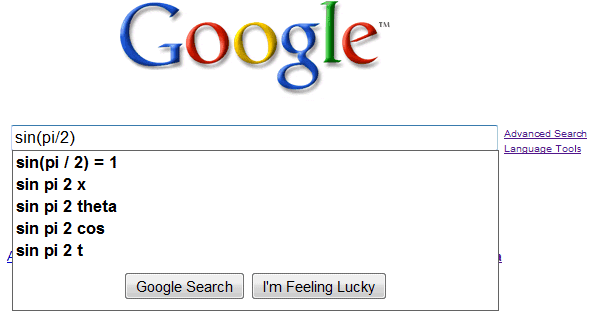 Some of the instant answers are available even if you don't use Google's homepage: check the search suggestions from Firefox, Chrome, IE 8 and Google Toolbar. @Martin: Currency conversion results do not show instantly in Chrome's omnibox. Only math calculations do, AFAIK. Wrong Edoardo. It also works in nationalised pages. As google would neglect that. No, the new features only work at google.com. "229.32 eur in gbp" doesn't work in firefox though. Wonder would happen if you put in a calcuation that is divisible by zero? 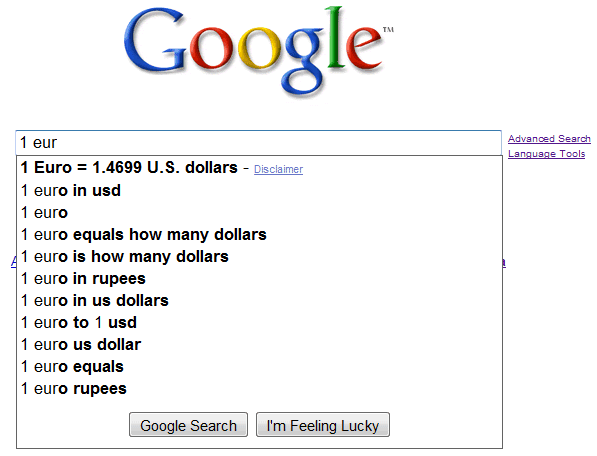 Also Google does business from suggest...check this out.. 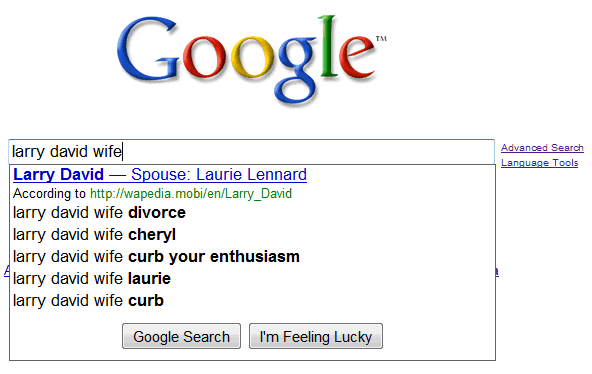 The google suggest is very impressive. I think this is AJAX's time and every site is becoming AJAXified. But I personally like the way Google stretches technology beyond its limit. Really good feature. Google is still updating and implementing new features. Keyword/search-string suggest is also very usefull. I really like the auto suggestion feature. It is very useful for me. Great Feature. Especially the integration over the AjaxAPI cause all this new features are automatically integrated in Firefox and Chrome. Looink forward for more interesting features i the future!